The third Inter Council Aboriginal Consultative Committee cultural awareness tour, held on Friday, 18 March 2016 visited several sites around Wonthaggi and Inverloch areas of Bass Coast. The tour gave insight into some little-known history of the area, as well as provided participants with informative and thought-provoking sessions on cultural and current local topics. First stop was the Learning Stones site at Wonthaggi Secondary College, Dudley Campus, where the visit was held in conjunction with the official Learning Stones opening. A project by Koorie Engagement Support Officer, Department of Education & Early Childhood Development, Mr John Murray, Learning Stones is an identified place for cultural engagement, ceremony and instruction and is a place to start for teachers in their delivery of Indigenous content. The session included traditional welcome and smoking ceremonies. The group was taken along the Bunurong coastal drive, stopping at Eagles Nest, where they heard the moving story behind Aboriginal freedom fighters Tunnerminnerwait, Planobeena, Maulboyheenner, Truganini and Probelattener. Ultimately Tunnerminnerwait and Maulboyheenner were captured and became the first people to be hanged in Victoria in 1842. It was then on to Inverloch where the Bass Coast – South Gippsland Reconciliation Group gave an excellent presentation on the campaign to change the name of the McMillan electorate, highlighting crimes against Aboriginal people by Angus McMillan the so-called “Protector of Aborigines” in the 1840s. Some sessions were impacted by the adverse weather conditions on the day, with part of the Learning Stones opening being held inside, while the bush tucker walk to Screw Creek, Inverloch was unfortunately cancelled. Despite the poor weather conditions, the tour was well attended by a diverse group including Councillors and staff of the ICACC member Councils; community members and volunteers; partner organisations and stakeholders of the ICACC member Councils; as well as Victoria Police. The tour was a collaborative event between Bass Coast Shire Council and ICACC. 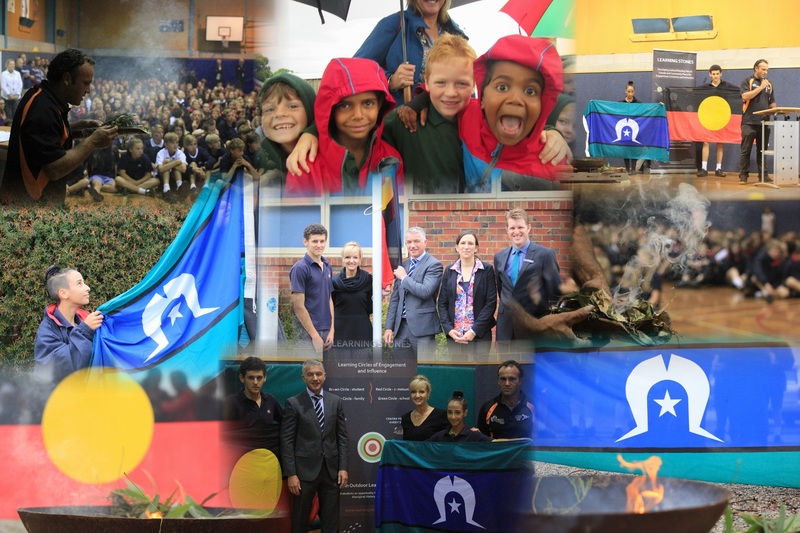 Thanks must also go to Mr John Murray; Mr Steve Parker; the Principal, staff and students of Wonthaggi Secondary College; members of the Bass Coast – South Gippsland Reconciliation Group; and Victoria Police, Casey Local Area Commander, Inspector Paul Breen. The City of Casey has so many amazing people doing amazing things. Don’t miss this opportunity to recognise their efforts and achievements. Challenge yourself to nominate this year! Are you interested in becoming a trained mediator? Keep up to date with ICACC news & events. Click Follow on the bottom of any website page to receive email alerts.